Disclaimer: Frankly, I think this year's 12 Days of Classic Comics is an okay subject. Since we did it in 2007, it just seems there's nothing new. I know we're going to have lots and lots of repeats, which I'm fine with, but c'mon... there's hundreds and subjects we could've used instead of recycling. Frankly, 'bip, you're right. I've been so busy working on the book (and dealing with recurring back pain issues) that I didn't even think about CCC until the day I posted the Advance Warning thread. Someone had suggested revisiting the theme at the end of last year's event so I went with that, and I limited it to movies and TV shows without a minimum age requirement to minimize the amount of time I'd have to spend rules lawyering. It's the way it had to be if there was going to be a 2016 Classic Comics Christmas at all. This was my introduction to superheroes. Long before I picked up my first comic, I knew the characters from this. In fact, it's probably why I picked up an Avengers book off the stand as my first comic. I won't lie, I rewatched the opening a few months ago for the same reason. I heard about it in the World Encyclopedia of Comics; but, didn't see it until the dawn of the 90s, at a video store. i don't know what was sillier the gigantic swords (which look exactly like they are cut from wood) or Robert Wagner in that hair. I'd love to see someone do a serious and respectful version of this, on a real budget. 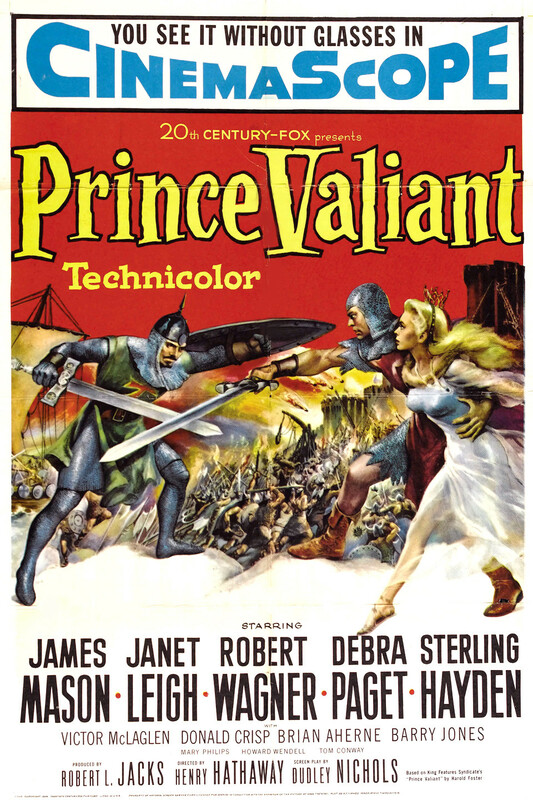 This is somewhat typical of similar films of the period (Knights of the Round Table, Black Shield of Falworth, King's Thief, etc..); but, not quite up there with The Adv. of Robin Hood or Ivanhoe. I would have loved to have seen it when I was a kid and would have been more forgiving. Those were exactly the kinds of movies I loved as a kid which led my dad to having me watch this one. Errol Flynn as Robin Hood was the pinnacle (I watched anything Errol Flynn I could get my hands on) but Knights of the Round Table and Ivanhoe were also favorites. My dad was more into war movies and westerns, but we watched a lot of movies on Sunday mornings, often while working on model kits at a card table in the living room. Sundays were usually his only day off (he was a butcher working for a local chain of markets at the time) and Sunday morning was usually the only time I got to spend with him when he wasn't too tired to do something, so this movie represents a lot of nostalgia and memories in its selection, moreso than the content itself. I didn't get to see a lot of that until high school, when we got cable, with WGN and Family Classics, on Sunday afternoons. Then, I got to see The Black Shield of Falworth, all of Flynn's classic swashbucklers, Ivanhoe, Zorro (1940 version), and The Prisoner of Zenda. With my dad, it was the Pink Panther series. Movies were a rare treat; but, my dad (a school teacher) took us to see the Panther films, starting with return of the Pink Panther. he didn't watch a lot of tv; but, he would watch Bugs Bunny with us, on Saturday morning, after making us a breakfast of pancakes; also Dastardly & Muttley and Their Flying Machines. He had a lifelong love of airplanes (also served as a maintenance chief on the B-36 bomber, in the Air Force) and would watch any aviation themed tv show or movie. We watched Robert Conrad in Baa Baa Black Sheep, The Spirit of St Louis, Flight of the Phoenix, Strategic Air Command (which was more personal to him, as that's where he served and that was his plane), Twelve O'Clock High, The Blue Max...anything with planes. I do also remember watching part of Doc Savage with him, though I don't think he ever read the pulps. I think it was more of the period adventure. Baa Baa Black Sheep was also a favorite in our house and I always picked out model kits of planes I saw in that series when I had the chance. 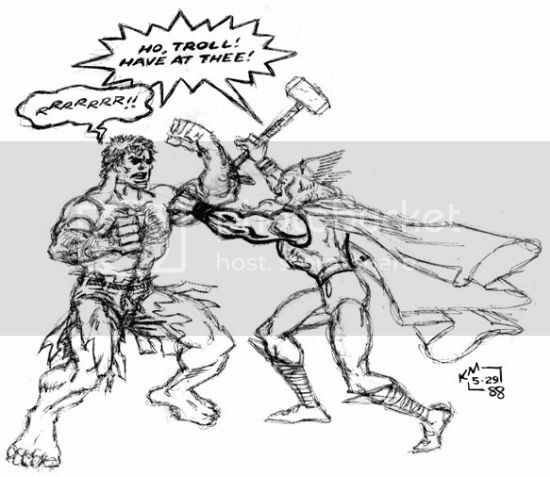 I watched Doc Savage with my dad a few years after this (we had then moved to Maine and it was on a cable movie network, so this was circa '81-'82) and my mom was htere too and it caused some embarrassment as I think it was Savage or the villain called someone a prick, to which my mom blushed and went wide-eyed and my dad had to explain why she had reacted that way as I hadn't encountered that word previously. Ahh the not so fond memories of embarrassing father-son moments. This 1998 made-for-TV movie (presumably a pilot for an ongoing series) makes a sincere effort to translate the Jim Steranko Strange Tales Fury to life and it succeeds on several levels. Acting is not one of them. The Hoff is not convincing as the aging super-spy and Lissa Rinni’s Val has all the depth of a Barbie doll, but both are positively Shakespearian compared to Sandra Hess’ Viper, who chews the scenery with a wild abandon that makes me howl with laughter every time. Still, any SHIELD movie that gives us Tim Dugan (minus the derby, handlebar mustache, and silly nickname), Gabe Jones, Alexander Pierce, Baron Strucker, Arnim Zola, HYDRA, and a surprisingly cool helicarrier given a TV budget can’t be all bad, right? I summon Sam Jackson... please!! 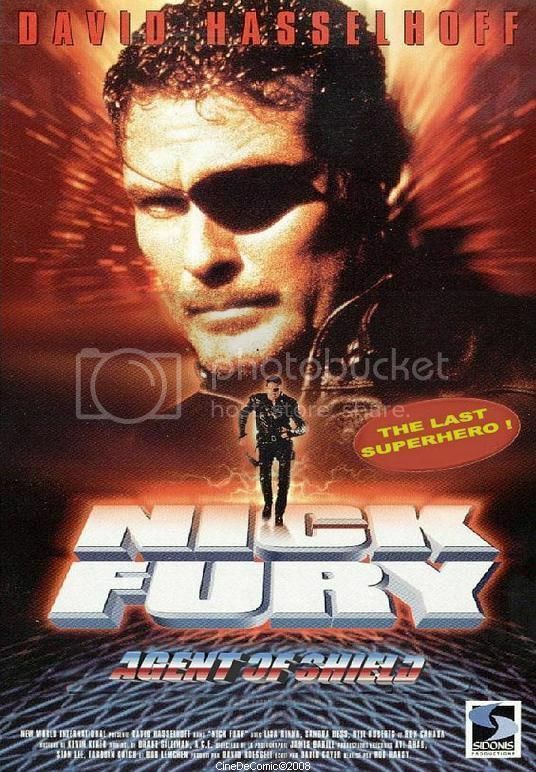 One thing about this, though; it wasn't so much the Steranko Nick Fury as it was the Nick Fury, Agent of SHIELD series that followed Nick Fury vs SHIELD. 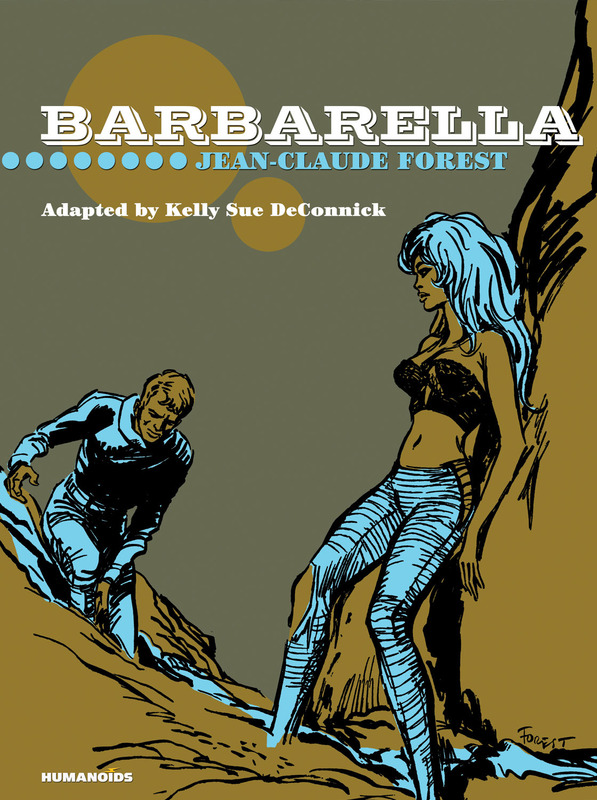 To me, it had a far stronger vibe of that material than it did Steranko. I still long for a straight on Steranko SHIELD (complete with SHIELD agents swinging from the Hellicarrier to a sky fortress, via grappling hooks) movie; but, it'll never happen. Would be lightyears better than the tv series. Ha, that's awesome. At three, I'm pretty sure my drawings weren't any where as near as good as that but I'm sure it inspired me too. Personally, I think it was an excellent choice. When we did this in 2007, there was significantly less material to choose from. So revisiting seven years later and narrowing the focus to balance the wealth of multi-media adaptations that have occurred between 2007 and 2016, seemed like an excellent decision to me. I'm glad it was efficient, Kurt, but it was a good choice too. But that memory with your dad is priceless. Thanks much for sharing it.